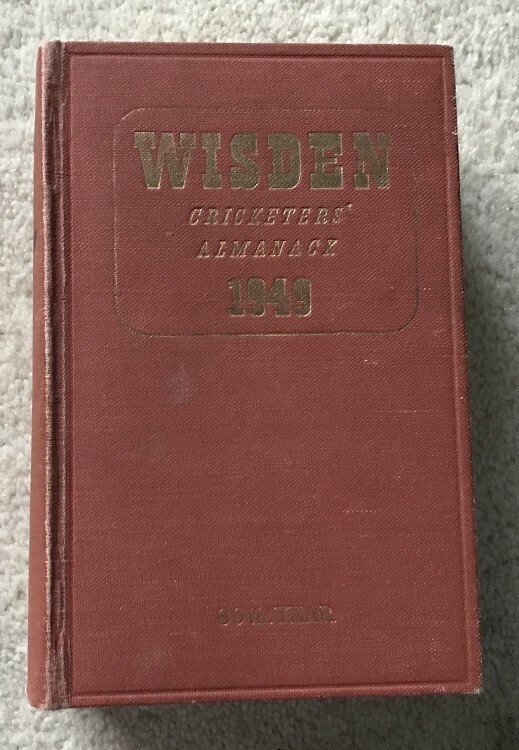 This lot is an 1949 Original Hardback Wisden, in Good condition. The boards are nice and the gilt is bright to the front and spine o this Wisden, 49s being notourious for poor quality book, this is better than many, the biggest down side is the mesh can be seen on the strong hinges, it is a bit skew but tightly bound, a black splodge mark to the spine as shown but nice clean pages inside, a couple of dog ears. Better than many but not the best.